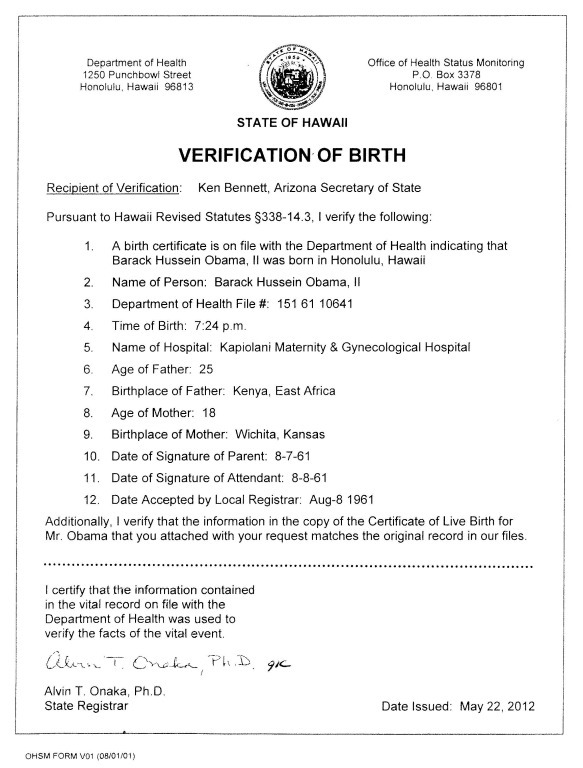 A misleading sentence in the Wikipedia article on Kapi’olani Hospital has led some to believe that the hospital where President Obama was born was not named what his birth certificate says it was in 1961. The Wikipedia has been corrected and the true name in 1961 has been documented, and it is Kapi’olani Maternity and Gynecological Hospital. Thanks to expelliarmus who looked up references and those who fixed the Wikipedia in such a comprehensive way. Since this rumor is still circulating as of today, December 27, 2013, I decided to expand this article and to include it in The Debunker’s Guide to Obama Conspiracy Theories. 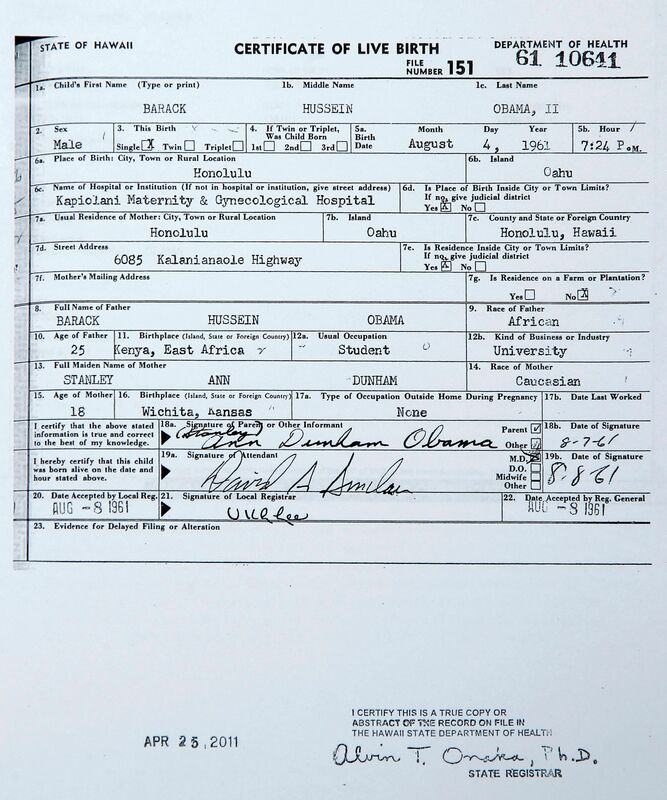 Published articles both before and after 1961 show clearly that the hospital was named Kapiolani Maternity and Gynecological Hospital, just as it says on the President’s birth certificate. There is simply no contrary evidence to this fact. The Wikipedia article on the hospital has full details. Layers, and layers and layers, oh my! 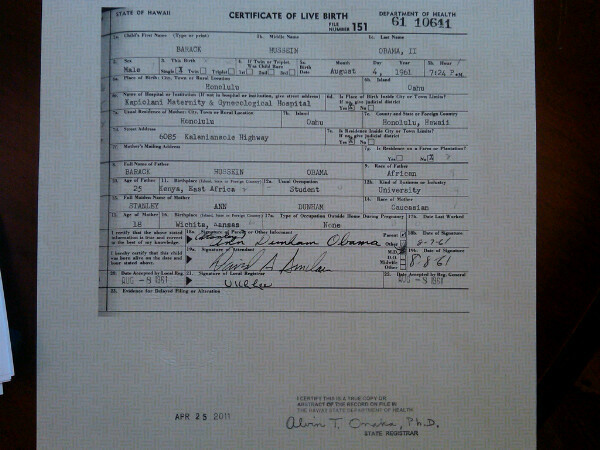 Will the release of the president’s birth certificate settle the so-called birthers issue? Now if it will just stay fixed. Actually, the wikipedia changes have already been removed due to the wikipedia prohibition on “original research”. Weird wikipedia rules: If we could find printed hearsay from a “reputable” source saying that the hospital name was changed on such & such a date, then that could go into wikipedia. But If we merely find a few dozen journal articles going back to 1940 referencing the hospital name…. that is producing evidence, not a reference, and therefore violates the wikipedia rule. “Sarcoma of the ovary: Case report”. The American Journal of Surgery 47 (1): 153-156. January 1940. “Decidual Reactions in Fallopian Tubes”. Am J Pathol 19 (6): 1043-1055. November 1943. 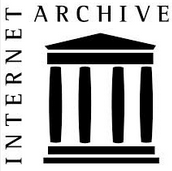 I did find from other internet research that there was a specific change to the hospital’s charter which changed the name, but there was no indication of the date when that happened – so as it stands I’ve got nothing before 1940 or 1943, depending on whether the 1940 cite is considered definitive. The 1940 citation is a little ambiguous because it refers to “Queens and” Kapiolani “Hospitals”. Here’s more — over at Native Born Citizen there’s a citation to a lawsuit from 1932 with the full hospital name in the title. 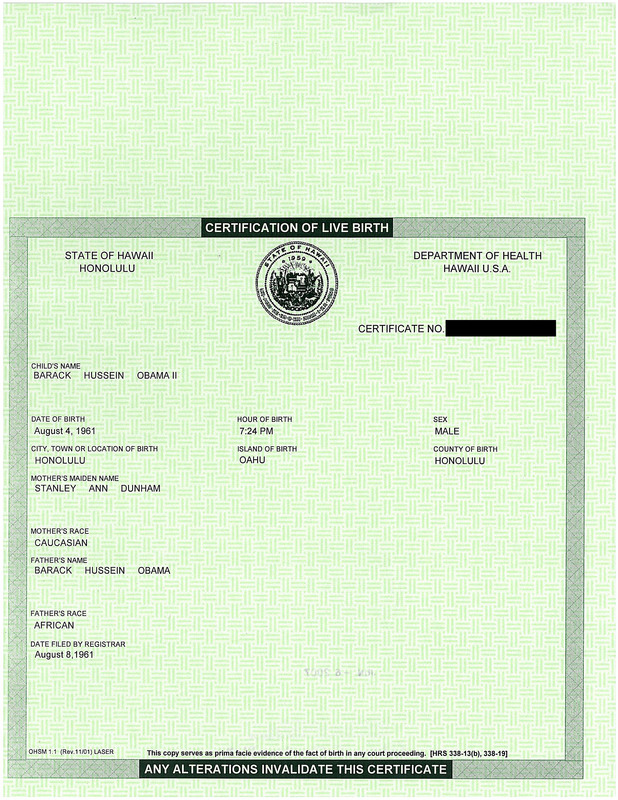 See http://nativeborncitizen.wordpress.com/2011/04/27/educating-the-confused-kapiolani-maternity-gynecological-hospital/comment-page-2/ citing Kapiolani Maternity and Gynecological Hospital v. Wodehouse, 70 F.2d 793. DCNY 1932. Expelliarmus: Actually, the wikipedia changes have already been removed due to the wikipedia prohibition on “original research”. Can Doc put this in his article and then cite it on Wikipedia? Or isn’t he reliable enough? I don’t think a blog posting would be an acceptable source. That’s just bootstrapping in any case. 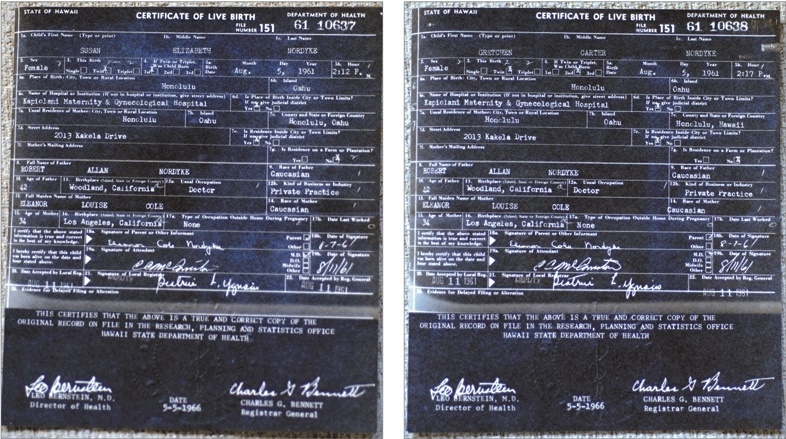 The will that was the subject of the lawsuit referred to “KAPIOLANI MATERNITY HOME” and was made out in 1926. So it looks like two things happened between 1926 and 1931 (when the hospital appears to have initiated its lawsuit): (1) The name changed, and (2) A new hospital building was erected. Possibly those 2 events coincided. Expelliarmus: I don’t think a blog posting would be an acceptable source. That’s just bootstrapping in any case. I’m not sure what was there, but now there is a well-sourced timeline of the hospital and name changes. From the edits, the timeline was added today by a user with the ID “NewRoss” (not me) — who obviously put some effort into filling the reference gap & playing by Wikipedia rules.